Hi and welcome to the Bewitchin’ Projects Linky! 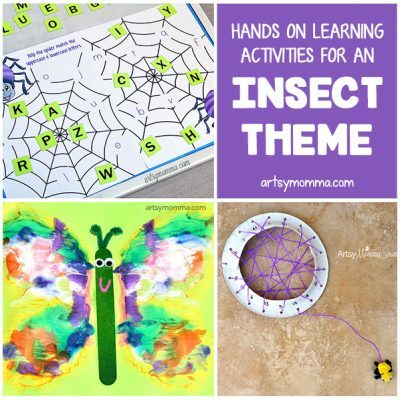 We love seeing and sharing your crafts, recipes, and more and can’t wait to see what’s added this week! March 2nd is Dr Seuss’s birthday as well as Read Across America Day. 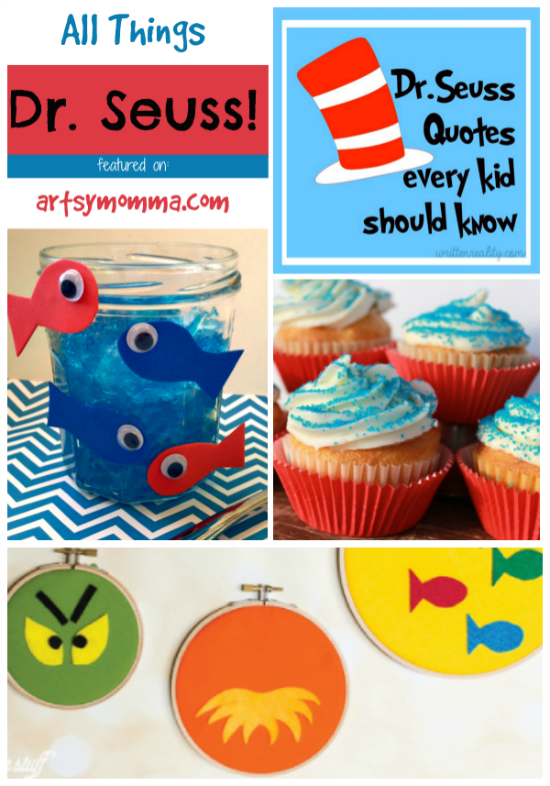 Today’s Bewitchin’ Features are All Things Dr Seuss that have been added over the last couple of weeks: quotes for kids, fun snack ideas, and a DIY felt decir project. Dr Seuss One Fish Two Fish Snack – Simple and fun! Kids can even help make these Seussical Snacks! 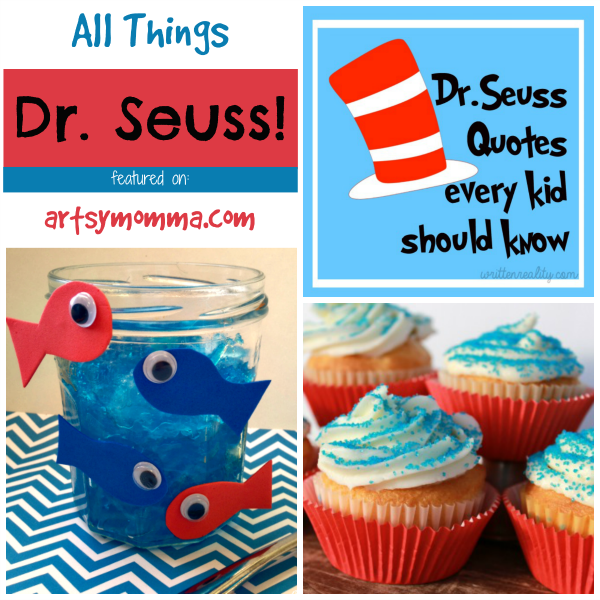 Dr Seuss Inspired Cupcakes – Easy-to-make, inspired by Thing 1 and 2. DIY Dr Seuss Inspired Wall Decor – Dress up the walls with this felt craft that takes less than 15 minutes to make! Dr Seuss Quotes every kid should know – We love Dr Seuss quotes! Here are a handful to share with the kids! 10 Dr Seuss Handprint and Footprint Crafts – So many creative ideas all made with hands and feet! Link to your post’s permalink, NOT your main blog URL. Lets be fair, please visit other links and let them know you were there. Everybody loves kind words. We would love for you grab the party button and share it somewhere on your blog (or a text link) and share this party on your social media channels to spread the word about the Bewitchin’ Projects Link Party. Make new friends and most important HAVE FUN!!! *Please note that by linking up your projects you are giving permission for the hosts to use your image in features and shares across social media platforms (Facebook, Pinterest, etc.). Can’t wait to see what everyone links up! 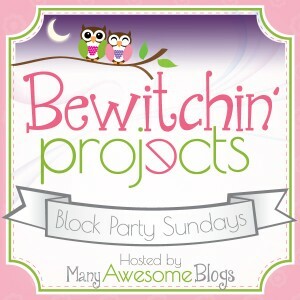 By participating in this LINK PARTY, you agree to be added to Bewitchin’ Projects Block Party’s email marketing list. As a result, you will receive on average ONE email a week from Cami@TitiCrafty: a reminder about Bewitchin’ Projects Block Party we host. If you do not wish to receive these emails, you can opt-out at any time by clicking the “unsubscribe” link at the bottom of the email. Thank you SO much for featuring my One Fish Two Fish snack! 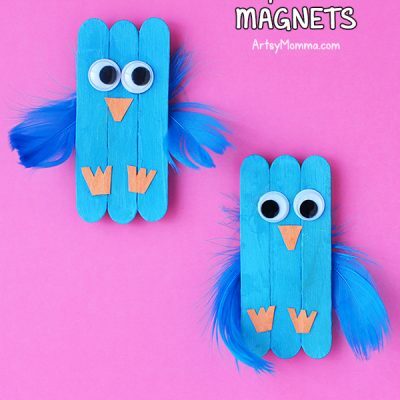 I can’t wait to make some of these other grea Dr. Seuss projects!